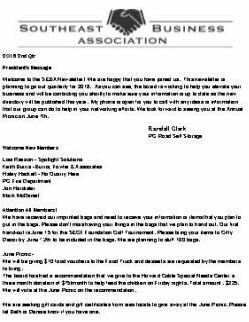 Newsletters of the Southeast Business Association. Communication with our members is very important for the longevity and success of our association. Our members receive an informative and updated quarterly newsletter so that we stay connected.